A hybrid application is a kind of app that has both native & web features. 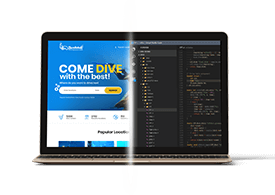 This mean, it works on all the browsers and gives native like experience. The online marketplace is expanding day by day. It has become the huge platform. Therefore, it is a challenging situation for every business owner to establish the business in the digital world successfully. Hence, there is a requirement of the powerful tool, like hybrid app, which can be availed with the help of PhoneGap application development service providers. The organizations that have taken the PhoneGap development service, are working prolifically in the online marketplace. But some are still in the doubt. 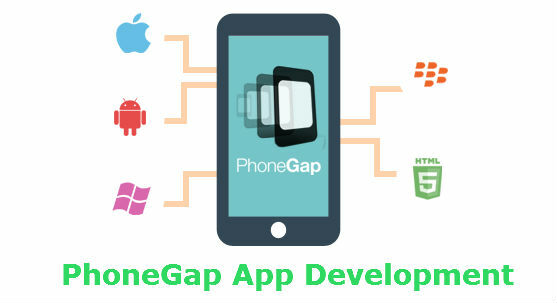 Therefore, this blog presents the advantage of PhoneGap application development service. Provide Features-Rich Application: PhoneGap platform comes with the array of powerful native features, such as camera, accelerometer, compass, contact, notification storage and many more that can make the application powerful. Build App For All the Platforms: PhoneGap is compatible with different operating systems, like Blackberry 10, iOS, Windows Phone 8, Symbion, Ubuntu Touch, Bada, Tizen, etc. It will be easy for the business owner to expand the customer base because the PhoneGap application can run on almost all the platforms. Take Less Time To Market: The business owner can easily distribute and market the PhoneGap application because it can be published on all the application stores. Secondly, you can even market the app with the help of search engine optimization process. Increase ROI & Save Time: By making investment in PhoneGap development service, the business owner can enhance ROI and save the valuable time because with the help of PhoneGap development the application marketing becomes easy and this will generate the revenue in minimum time for the business owner. Streamline Application Management: The PhoneGap applications have robust and clean architecture that makes it easy for the developers to manage the application. Moreover, if the users want to enhance the features of application in the future, then it can be easily customized. Availing the PhoneGap application development service will not disturb the workflow of the business, instead it will improve the business and help you gain good reputation as well as presence in the online marketplace. Cross Platform or Native Strategy For Mobile App Development: Which is Better!